Homeownership is widely considered to be a bedrock of family financial stability, but as aftershocks continue to reverberate through the real estate market, it’s important to know exactly how well your house is performing as an investment. Here are two ways to understand the operating value of your home. By knowing both your net equity and the rental equivalent, you can determine the true cost of owning your home, and you will be prepared to make smart decisions on investing for the best return. 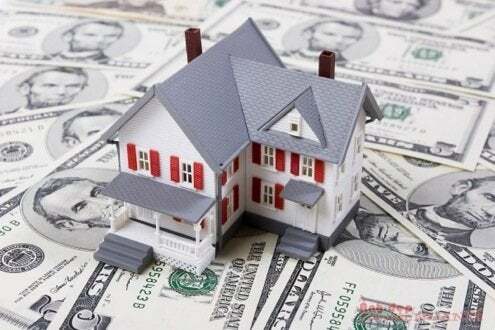 How much your house is worth after all outstanding loans and transaction fees are factored in. Take the estimated market value of your home and deduct the following: your remaining mortgage payment; any other outstanding loans collateralized by the house; the traditional agent’s fee of 6% of the sale price; transfer taxes and the typical costs of preparing to sell. What’s left is your net equity—what you actually would net if you sold the house. Why you need to know it: Net equity is an important factor in your overall net worth. Understanding the components of your net worth helps you manage your financial future. To calculate the actual investment return on the down payment you made to move in, take the net equity figure you’ve calculated and deduct all that you’ve spent on property taxes, maintenance, and improvements. Add back the savings you’ve captured from the mortgage interest deduction. As you review the performance of your overall portfolio, you need to understand how well the investment in your home has performed compared to stocks, bonds, money market funds, annuities and other investments. This will help you make informed decisions going forward. The market rent for equivalent living space. On a cash flow basis, are you paying too much, too little, or the right amount to live in your house? Look at the rents for similar space in your neighborhood. Add in the customary utility payments for both your house and for comparable rentals (for instance, rentals often include water but as a homeowner, you pay directly to the utility). Why you need to know it: If you’re thinking of moving, knowing your home’s rent equivalent can help you benchmark the monthly housing expense for larger, smaller, and equivalent houses. It’s good to know if rental income could help ease a temporary cash crunch—if you’ve rented your house and moved to a smaller rental, for instance.